With patriotic passion and Oscar buzz providing a double-barreled boost, the Iraq War saga “American Sniper” hit the bulls-eye at the box office with the biggest January opening ever in its nationwide expansion. The Clint Eastwood-directed drama starring Bradley Cooper was at $90.2 million Sunday, distributor Warner Bros. reported. Its massive debut will more than double the former January mark for a three-day debut, and the R-rated Village Roadshow drama is on pace to top $100 million by Monday, the end of the Martin Luther King holiday weekend. It’s the best four-day opening ever for an R-rated movie, and will easily eclipse the $68.5 million that “Avatar” opened to in 2010 as the best January debut ever. The explosive and historic start for “American Sniper,” adapted by Jason Hall from the late U.S. Navy SEAL Chris Kyle’s autobiography, was fueled by the six Academy Award nominations it received Thursday, including Best Picture, Actor and Adapted Screenplay. And Heartland audiences turned out in force to help “American Sniper” blow past the expectations of analysts and the studio, which had foreseen a four-day total between $50 million and $60 million. “We’ve never seen anything like this,” Dan Fellman, head of domestic distribution at Warner Bros. told TheWrap Sunday. “It played great everywhere, in the big cities and suburbs and red and blue states. But if you look at the top 20 locales, you see places like Texas, Oklahoma, Albuquerque, which don’t normally turn out for R-rated films. “It played like a superhero movie, and this time, the superhero was a real-life one,” Fellman said, referring to Kyle, whose book the film was based on. “American Sniper” was so dominant that the second-place movie on Sunday, Kevin Hart’s “The Wedding Ringer,” was roughly $65 million behind the war drama despite posting the best opening ever for an R-rated comedy in January with $24.8 million. The debut, Hart’s fourth straight opening of more than $20 million for Sony Pictures’ niche label Screen Gems, topped the film’s $23 million production budget and further burnished the comedian’s impressive box-office credentials. Also Read: ‘American Sniper’ Reviews: Academy Praises Bradley Cooper, But Do Critics Think He Hit the Mark? “Paddington,” a family film about the charming bear beloved by Brits, was giving “Wedding Ringer” a run. The Weinstein Company’s live-action/CGI hybrid opened with a surprisingly strong $24.3 million three-day total. And it could overtake “Wedding Ringer” if the kiddie crowd turns out Monday. The weekend’s other wide opener, Legendary Entertainment’s cyber thriller “Blackhat,” crashed. It had managed just $4 million by Sunday, and the $70 million hacking saga directed and co-written by Michael Mann is on pace to finish the four days with less than $5 million and out of the top ten for distributor Universal Pictures. On its current pace, “American Sniper” will average an eye-popping $29,000 at the 3,555 theaters it’s played in by Monday. It got a major boost from 335 Imax locations, which will account for 11 percent of the war saga’s four-day haul at $11.5 million. That’s the biggest Imax opening ever for an R-rated movie, and the best MLK showing for any film. The combined 348 Premium Large Format screens also delivered $9.8 million, or 11 percent of the three-day haul, led by Cinemark XD. It drew a crowd that was 57 percent male and 63 percent over the age of 25, and they gave “American Sniper” a rare “A+” CinemaScore. That was even better than the critics, who have the drama co-starring Sienna Miller at 73 percent positive on review site Rotten Tomatoes. The civil rights drama “Selma,” also nominated for a Best Picture Oscar, was running fifth on Sunday, behind last week’s No. 1 film “Taken 3.” Fox’s Liam Neeson franchise finale had muscled up $14.5 million by Sunday, and will finish with more than $17 million in its second weekend. Paramount Pictures’ “Selma” will have taken in $8.6 million by Sunday from 2,235 theaters, up by 56 theaters from its wide expansion last week. That projects to $10.6 million for the four days, underwhelming given the tale of the 1965 Montgomery-to-Selma marches will be tied in with ceremonies marking the MLK holiday across the nation. “The Imitation Game,” also a nominee for the Best Picture Oscar, finished sixth with $7.5 million over the three days. That projects to a $9.2 million four-day total for the historical drama starring Benedict Cumberbatch. It averaged a strong $5,745 from its 1,611 theaters, after TWC added 45 locations. 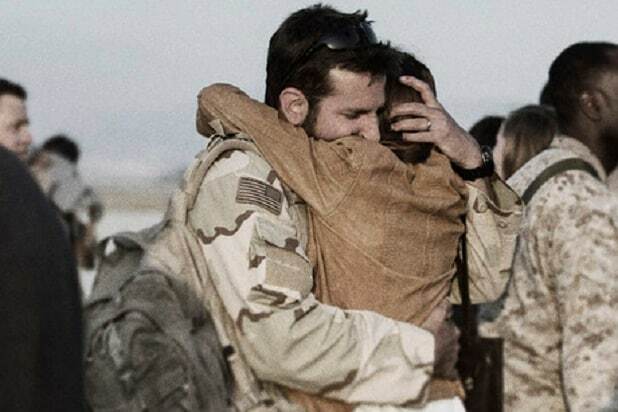 ‘American Sniper’ Reviews: Academy Praises Bradley Cooper, But Do Critics Think He Hit the Mark?